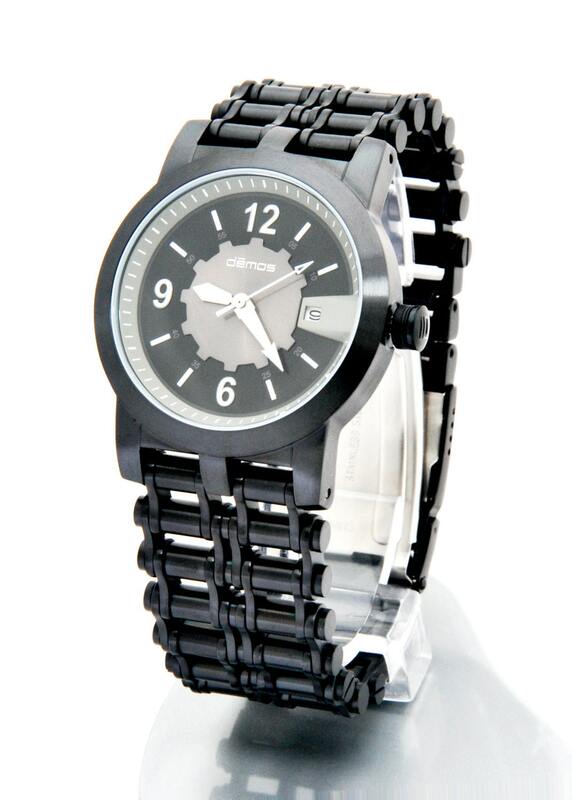 Chain Watch with heavy stainless steel chain bracelet, 100 meter water resistant, Seiko movement. Great for the Harley-Davidson HOG riders, motorcycle, dirtbike, BMX, mountain bike riders. Chain watches come in Polished Stainless as well as Black. 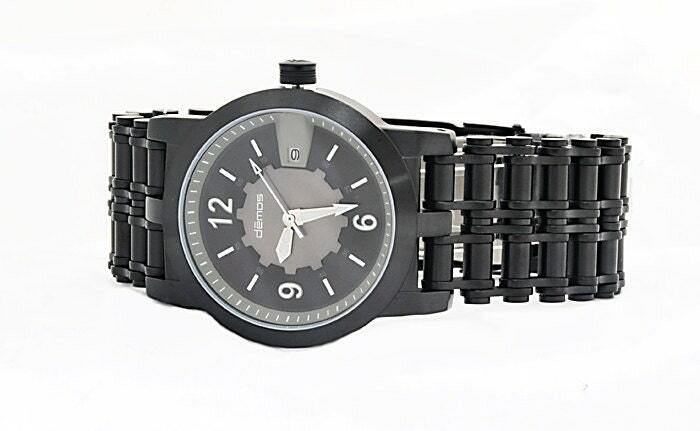 Check out our Tread watches, too. by Demos Watch Co., Encinitas, CA, USA. CREATED, DESIGNED, and DEVELOPED in CALIFORNIA USA, made with Japanese movements. Motorcycle or Bike / MTB / Mountain Bike Chain & Tread watches by Demos Watch Co. Encinitas, California, USA. Founder Mark Demos / Designer John Cupit.